One of my readers is researching General Grenville M. Dodge and asked for information. I, of course, turned promptly to my buddy Peter A. Hansen who knows more about rail history than anyone I know. Pete writes for most of the major rail history magazines, consults with museums and rail companies, speaks regularly on rail history, and is currently editor of Railroad History, the scholarly journal of the Railway and Locomotive Historical Society. Pete has also been an on-camera source for CBS News and NBC News. More about Pete here. Fun Fact: It’s an indisputable fact that Railroad History is the oldest (and still the most scholarly) rail history journal, but it is also believed to be the oldest industrial heritage journal of any kind in the U.S. The information below is all Pete’s. “You’ve seen Dodge many times, though you may not have known it. He appears at the center of what’s arguably the most famous photograph in American history (below). Two men on the ground are shaking hands; Dodge is the one on the right. Golden Spike ceremony; 16-G-99-1-1, Still Picture Records; Photographs and other Graphic Materials; Records of the Office of the Secretary of Agriculture; Record Group 16; National Archives. Dodge was born in Danvers, Mass. in 1831, and educated at New Hampshire’s Durham Academy and Vermont’s Norwich University. Upon receiving his engineering degree, he did what many ambitious young engineers did in the 1850s: He went to work for a railroad. He started with the Illinois Central, and later went to the Chicago & Rock Island and the Mississippi & Missouri. 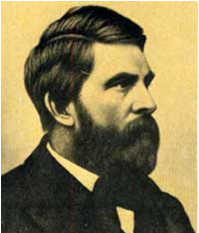 It was during his service to the latter two roads that he met Thomas C. Durant, who would later become the driving force behind the Union Pacific, the eastern half of the nation’s first transcontinental railroad. A few years later, when President Lincoln needed impartial advice on the Pacific Railroad, the greatest non-military undertaking of his administration (or indeed, in all of American history, up to that point), he turned to Dodge. Apart from his unquestioned abilities, it may have been Dodge’s relationship with Lincoln that made him a favorite of Sherman and Grant. Dodge began the war inauspiciously enough, as colonel of the Fourth Iowa infantry regiment. He was to make his mark at Pea Ridge in early 1862, where he sustained multiple minor wounds and had three horses shot from under him. He was promoted to brigadier general in April of that year, and was commanded to rebuild the Mobile & Ohio Railroad between Corinth, Miss., and Columbus, Ky. Despite continual harassment by Nathan Bedford Forrest, he got the job done by October. His performance did not go unnoticed. 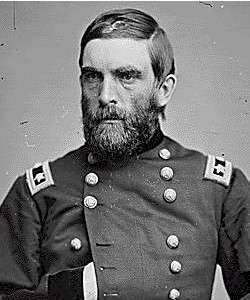 Grant’s chief of staff, John Rawlins, sent for him that month, and he was given a divisional command with the Army of Tennessee. He became something of a spymaster during the Vicksburg campaign, where he also covered Grant’s left during the final stages. It’s also worth noting that Lincoln sent for Dodge during the Vicksburg siege, seeking his advice on several matters related to the Pacific Railroad Act. In particular, the Act had authorized the president to name the eastern terminus of the line, and Lincoln wanted to hear more about Council Bluffs. Also, certain provisions of the 1862 Act had scared private investors away from the project: Lincoln sought Dodge’s advice on how to redress them, but ultimately rejected Dodge’s advice on the finance question. 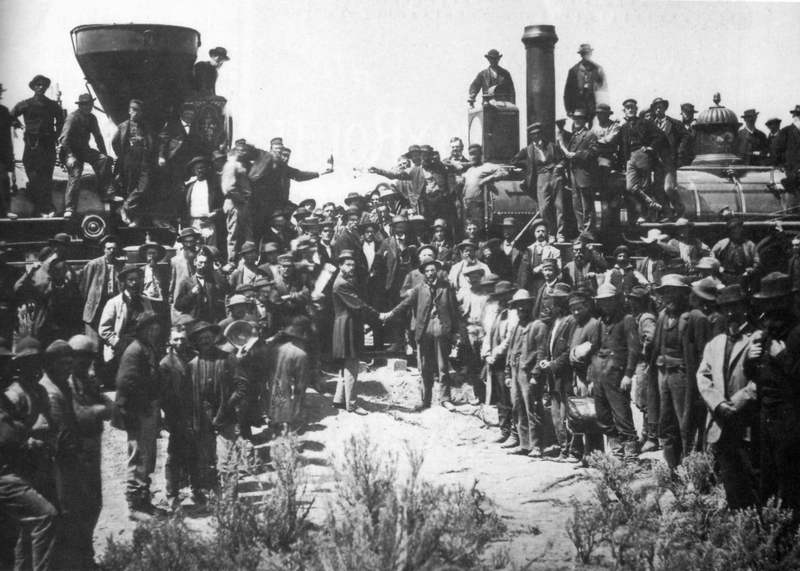 Dodge thought the government should simply build the railroad itself; Lincoln favored a revised Pacific Railroad Act in which government bonds would take second position to private issues – a reversal from the original Act. Lincoln’s view prevailed in Congress, and a second Pacific Railroad Act was passed in 1864. Lincoln did follow Dodge’s advice about Council Bluffs, however, and to this day, the city is Milepost 0 on the Union Pacific’s line west from the Missouri River. Dodge went on leave after Vicksburg, and Durant lobbied him vigorously to resign his commission and return to railroading. Durant saw an opportunity in the young engineer for unparalleled Washington influence, and offered him the generous salary of $5,000. Nonetheless, Dodge remained in uniform for the rest of the war, though he would never again attain the distinction of the early campaigns. He served under Sherman during the siege of Atlanta, where a bullet fractured his skull, after which he was effectively out of the war. Incidentally, Dodge’s papers can be found at the Iowa State Department of History and Archives in Des Moines. Do take his writings with a grain of salt: Dodge was not above embellishing his record. His home in Council Bluffs is now a museum, and it’s well worth a visit. While you’re in town, you might also check out the Union Pacific Railroad Museum, which tells the story of the first transcontinental railroad, and of Dodge’s role in it. One of the perks of being a railroad construction engineer, especially in virgin territory, was the ability to name places. Thus, the highest point on the first transcontinental line was at Sherman, Wyo., 8013 feet above sea level. Some 120 miles west, another Wyoming town bears the name of Rawlins. Many thanks to Pete for the information above! 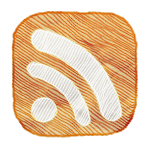 Iowa Public Televisions Series on Dodge here. Dodge’s book, How we built the Union Pacific railway: and other railway papers and addresses thanks to Google Books. The good folks at PublicAffairs Books sent me a review copy of Marc Wortman’s The Bonfire: The Siege and Burning of Atlanta viewable on my virtual bookshelves here. 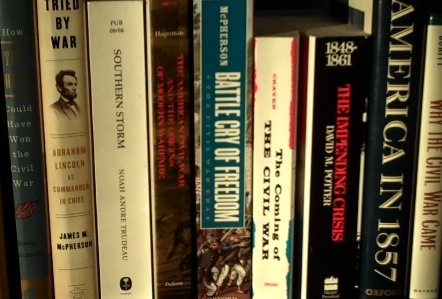 I decided to create a shelf specific to “Civil War Sieges” because this book doesn’t quite fit in other categories. That uniqueness is part of its draw. Having read the first chapter, I can say that Wortman has a talent for turning a phrase. His depiction of a devastated Atlanta on the morning of September 2, 1864 put me there. From reading just a few chapters of book, its TOC, and its index, I can add that Wortman’s work emphasizes the broader historical context of the war, covers the importance of railroads during the Civil War, provides insights into the conflict as seen from the perspectives of common soldiers and citizens, and draws upon a substantial amount of primary sources. All of these are pluses. I look forward to a thorough reading. Author Marc Wortman, see his website here, is a freelance journalist of some acclaim. He received his doctorate in Comparative Literature from Princeton University. An earlier book published by PublicAffairs Books in May of 2007, The Millionaires’ Unit: The Aristocratic Flyboys Who Fought the Great War and Invented American Air Power, also looks like a great read and I recently ordered a copy. Per the publisher, it is in development as a major motion picture. Of note, both of Wortman’s histories are available in Kindle versions which means you can begin reading them in about 40 seconds. In June 6th’s post I mentioned I was reading a review copy of The State of Jones: The Small Southern County That Seceded from the Confederacy by Sally Jenkins and John Stauffer. This update: their description of the Battle of Corinth is outstanding, albeit gruesome. I will file the book in numerous places on my virtual bookshelves as it covers a great deal of ground: the experience of soldiers, rich versus poor in the military of the Confederacy, unionists in the South, the experience of slaves, etc., etc. It was the last order that could be heard, as at least fifty Federal guns opened fire on them. the trembling thunder of artillery was joined by the shrieking, concussive outbursts of shells and the short, almost muffled spat-spat-spat of Springfield rifles, hammers hitting soft gunpowder, followed by the metallic raking of ramrods. ‘The very atmosphere seemed filled with shot, shell, grape and canister,’ General Green reported. Maj. Gen. Earl Van Dorn (Army of West Tennessee) was later court-marshaled for his neglect in taking care of logistical details and forcing his army to march and fight the Battle of Corinth with insufficient water and food. The charges were dropped. I ran across an excellent monograph yesterday by Dr. Christopher R. Gabel titled “Railroad Generalship: Foundations of Civil War Strategy.” It is available in its entirety on the Command and General Staff College’s Combined Arms Research Library here. It includes maps and illustrations. The following is the foreward by Jerry D. Morelock , Colonel, Field Artillery and Director of the Combat Studies Institute. For those of you really into military strategy, Gabel provides a simple yet effective illustration of “interior lines” and “exterior lines” and why railroads sometimes helped and other times hindered Civil War strategists who tried to use Jomini/Napoleonic concentration on “interior lines” strategy. Regular followers of Wig Wags will know that I’ve posted on this fascinating topic before. See the page, Civil War Railroads here. Christopher R. Gabel, “Railroad Generalship: Foundations of Civil War Strategy.” http://www-cgsc.army.mil/carl/resources/csi/gabel4/gabel4.asp#org, Accessed: May 24, 2009. I’ve spent some time at the Kindle Store perusing their books for deals on American Civil War Books. I’ll follow up with additional lists on Military History and History in general although they are numerous. One plus – many of the Army Field manuals are available for $0.99, You could, of course, download most of the latter from other sites and load to you Kindle as well. Of note, David Woodbury over at of Battlefields and Bibliophiles has posted an outstanding piece on the digitalization of books phenomena which you can read here. Here’s my list so far of ACW books that are free or under $2.00 in the Kindle Store. Bear in mind that most of these are in the public domain so you can also load them to your Kindle 2 for free in the manners I described in previous posts. NBC Nightly News ran this piece tonight. My buddy Peter Hansen (above) is interviewed toward the end. His clip was filmed here in Kansas City behind the headquarters of Kansas City Southern Railway next to what is known as the Harry Truman Car. That would make his second national news program in a week or so. Not bad! 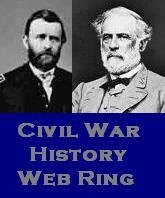 See his contributions in my popular series titled Civil War Railroads here. 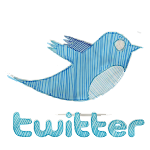 If the video below doesn’t play, click here or on Pete’s image above. My buddy Peter Hansen, who contributed to my series of posts on Civil War railroads here, will be interviewed on the radio program Up to Date Thursday, December 4th from 11 AM – Noon Central Time about the Nelson-Atkins Museum of Art special exhibit of Art in the Age of Steam: Europe, America and the Railway, 1830-1960. (I’m hoping we can finagle a personal tour with Pete as guide.) Of note in Pete’s bio below, (which I’ll admit I snagged from KCUR’s website in hopes that they’d appreciate the publicity), is a heads up about a story he’s written for Trains on Lincoln and the railroads. It’s well worth the read when it comes out next year. Image: Pierre Fix-Masseau, French (1905 - 1994). Exactitude. 1932. Color Lithograph, 39 1/2 x 24 1/2 inches (99.7 x 61.6 cm.) Minneapolis Institute of Arts, the Modernism Collection. Gift of Norwest Bank Minnesota. More than any industry, railroads have made Kansas City a regional metropolis. The story of railroading in this area is a richly human one, populated by important and visionary figures like Octave Chanute, Fred Harvey, and Arthur Stilwell.The industry continues to thrive today, thanks largely to its inherent fuel efficiency, making railroads a green option for the 21st century. But how – and where – did the train industry begin in Kansas City? Today Steve Kraske talks with Peter Hansen, editor of Railroad History, the academic journal of the Railway & Locomotive Historical Society. They’ll discuss how railroads impacted Kansas City – how trains permanently changed the land, and the way that people and goods traveled over it. We’ll also talk with Nelson-Atkins Museum of Art executive director Marc WilsonArt in the Age of Steam: Europe, America and the Railway, 1830-1960 about the museum’s special exhibit of . The exhibit, on display through January 18th, features more than 100 paintings, prints, drawings and photographs drawn from 64 museums and private collections. Art in the Age of Steam is the most wide-ranging exhibition ever assembled of American and European works of art responding to the drama of the railroad, from the earliest days when steam trains churned across the landscape through the romance of the Victorian era to the end of the steam era in the 1960s. Peter A. Hansen is the editor of Railroad History, the academic journal of the Railway & Locomotive Historical Society, and his work also appears frequently in Trains and Classic Trains magazines. His next Trains cover story will appear in the February 2009 issue. Titled The Rail Splitter and the Railroads, it was done at the behest of the Lincoln Bicentennial Commission in honor of the 16th president’s 200th birthday. Pete was a contributor to the Encyclopedia of North American Railroads, published by the Indiana University Press. He is currently research assistant to Bill Withuhn, the transportation curator at the Smithsonian Institution, on an engineering study of American steam locomotive technology. For more information about the Nelson-Atkins Museum of Art’s exhibit Art in the Age of Steam click here.